Life Mastery Radio: May 21, 2013. Guest: Nathan Crane joins us to share his new book, 27 Flavors of F Fulfillment. The book captures the expertise of 27 thought leaders and their input about creating fulfilling, masterful lives. 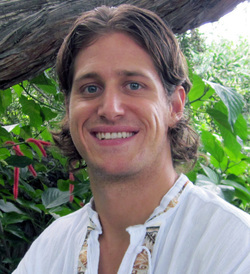 Nathan is the creator of the Panacea Community, as well as the author of The Panacea Cleanse. Nathan speaks to thousands of people about holistic health, conscious intuitive eating and healing, overcoming addiction, and co-creating harmonious communities. He transformed his life from drug addiction to vitality and joy. Nathan helps establish personal and professional relationships that create a mutually beneficial outcome for everyone involved. Check out his website at www.Nathancrane.com. Be sure to check out his community link and become a member of the Panacea Community–a place to explore and develop your vital self.